"Beresford Public Library thanks Microsoft, Symantec, and Maxtor for their generous software and hardware donations. You make a true difference in the lives of people who are looking for jobs, applying to college, taking on-line tests, and beyond." It's still possible to walk into the Beresford Public Library (BPL) in South Dakota and take out a good book. 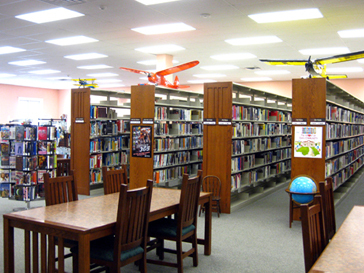 But like many other public libraries across the nation BPL also serves as a vital technology hub to its community. Computer patrons use the library's computers to do everything from writing letters and preparing resumes to taking online tests. Like other public libraries, BPL is familiar with the necessity of providing services to the community on a tight budget. The TechSoup software donation program has provided BPL with donated Microsoft and Symantec software licenses and Maxtor hardware. TechSoup's support bridges the digital divide for Beresford residents who are unable to afford a computer of their own.